For those of you too young to know the real history of the Martial Arts in the U.S., in particular Isshinryu Karate, the main movement of Martial Arts in the U.S. got started in 1956. 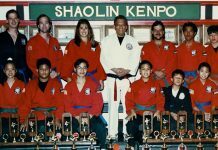 The main Isshinryu personalities of the time were Marines returning home from tours of duty in Okinawa, such as Don Nagle of New Jersey, Harold Long of Tennessee, Steve Armstrong of Washington, and several others all having trained directly with the Grand Master Tatsuo Shimabuku. Enter Gary Alexander, also a Marine returnee from Okinawa, of the same period (1958) was a part of the Fleet Marine Force constantly making tactical landings wherever in the Asia theater, and had no real time to get to the towns to study the Martial Arts seriously. 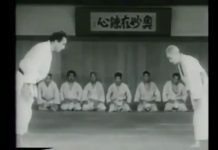 Alexander’s back-ground at the time (1956-58) was limited to “some” Judo, having studied in Gotemba, Japan, (Mount Fuji), and whatever Karate could be learned from other Marines that had the time to study with the current day Masters in Okinawa. Returning home to the U.S.A., Gary Alexander connected with Don Nagle in their hometown of Jersey City, N.J. in 1958. Alexander trained with Don Nagle and other Marines that Nagle had trained in Camp Lejeune who traveled from many points in the U.S to continue to train-up under Don Nagle. A perfect Martial Arts environment of all military (Marines) mind sets and realistic Martial Arts training that you write books about. Rules “if any” for combatants revolved around personal chivalry not to bend each too badly. After the period of training-up, many of the Marines went back to their homes around the U.S. and started their own schools, clubs, etc..
As more diversified styles and action arrived in the U.S. particularly the Eastern U.S. and Canada, the remaining Marines of the New York metro area including Gary Alexander, would travel from dojo to dojo wherever there could be kumite/sparring action found, and fought with anyone willing to get on the mats. During this period of Full Contact fighting, Gary Alexander was making a name (1958-1962) as an undefeated adversary against all styles, all comers. In 1962, Mas Tsuruoka of Toronto, Canada presented his First Full Contact Championships. Alexander was selected to lead the team to Toronto for Isshinryu. Alexander defeated all comers for Isshinryu. One week later, Mas Oyama (Goju-ryu) presented his “First” Full Contact North American Karate Championships in Madison Square Garden. Again, Alexander led the team and once again defeated all comers, formally documenting himself and Isshinryu as an “Undefeated” force to contend with. Since then (42 years later), Alexander is and has been regarded as the “Hammer” for Isshinryu. In another direction, Alexander, with no more follow up Championships to fight in, decided there was a need for action, and felt that Isshinryu should sponsor an Annual event. Gary Alexander began running his own “open to all styles” events for Isshinryu in 1964, in New York City, Gary Alexander’s events still running to this date, 37 years later, are known as the longest running Martial Arts events in the world. 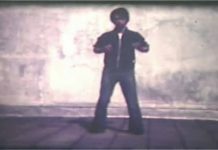 Gary Alexander also was First to sponsor Kick Boxing in the U.S. with sponsorship of such projects starting in 1974 and continuing thru 1980. Stopped because “didn’t like the product” too many pads, not enough good fighters. It was at these events that the early Masters of the times were showcased by Alexander, and they became famous through his events, and the “limited” generated media coverage of the times. Don Nagle was showcased with Peter Urban as Gary Alexander set the spectacular historic match that brought these two great, very competent, and diametrically opposing, stylists together for a kumite match. The match was recorded as a draw! Harold Long, and Steve Armstrong, and many other Isshinryu stylists were attending these events and also received the notoriety of the day. 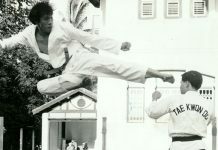 It was at Gary Alexander’s events that Ed McGrath became known as the “Voice of Karate” as he emceed with great fitness. Throughout these periods, Gary Alexander did not continue fighting tournaments (Rules started developing, and the questionable judging “games” started) but continued his fighting and sharpening of his skills informally, dojo to dojo, or anywhere there was action. No Judges or Rules needed. Winner was quite evident. With an approximated 1,000 matches/fights in all environments, Gary Alexander started during these actions to develop add-on tactics and methods that he felt enhanced the system, and were needed, and worked in the fight. 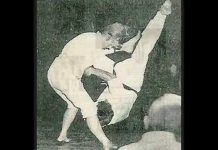 Some techniques of other Karate systems, Judo/Ju-Jitsu, Aikido, were used to support the Karate “Method” which Gary Alexander now calls Isshinryu “Plus”, State of the Arts, and “Good to Go” for Y2K Millennium. Gary Alexander is now the Chief Instructor/Founder of the U.S.A. Isshinryu Plus Karate System. The Isshinryu Plus Karate System has been established as “the” system for Isshinryu Y2K. Re-developed and upgraded to offer proven, superior, fighting concepts, forms, and methods for aspiring modern day Martial Artists. Gary Alexander still teaches and participates in all classes and recently built a 2,400 sq. Showcase Dojo to serve as headquarters for Isshinryu Plus Karate and his worldwide – International Association of Martial Artists. Visitors are always welcome. 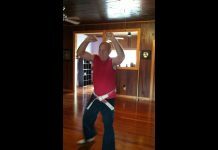 To Train at Home, or for entertainment, a series of 14 Video’s were produced by Gary Alexander documenting all Isshinryu Plus Karate Systems Fighting Forms (10), including weapons Saya, Bo. Basic Exercises and Drills (1), and “Unarmed & Dangerous” a Self Defense/Hand to Hand Combat / Fighting Tactics (3). You can contact us at garyalex@bellatlantic.net If you wish to join with Gary Alexander’s organization founded in 1964, any Isshinryu stylists or martial art stylists that seeks to join a “proven”, progressive, recognized leader in worldwide martial arts, you are welcome to join with Gary Alexander under the Isshinryu Division, specialized Martial Arts Division, of the International Association of Martial Artists.